There is a Goddess within you waiting to emerge. She gently whispers to you, urging you to stop doing, striving and working, and start being, receiving and resting. While the male way is to give, do and pour outward, the feminine way is to be, attract and receive. There is probably no better or more beautiful metaphor for this than the conception of a baby – the male giving, the female receiving, and the union creating a whole new life. Imagine a little sanctuary where you can go after (or better yet, in between) the busyness of your day to re-center and replenish – doesn’t that sound just divine? 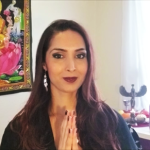 Having a room, or even a small nook or corner, as your personal sacred space is a powerful way to connect with your goddess self every day. Start by finding a clean, cozy spot in your home where you can have some privacy, even if you need to put a “Do Not Disturb” sign up when in use. Next, turn this spot into your private temple by adding a symbol of something spiritual (perhaps a goddess picture or statue), candles, incense, a water fountain, crystals, plants and flowers, or anything that will make this area a special and sacred space where you can meditate, journal, pray, daydream, reflect, nurture yourself, have a soothing cup of tea, or take some time to just be. Although having your outer sanctuary is wonderfully valuable, there is also an inner sanctuary that is always available and accessible to you no matter where you are or what you’re doing. This space is your Spirit – the eternal and wise part of you often called your Higher, True or I Am Self. It is through this place that you can access your intuition and live a more inspired and spiritually guided life, while enjoying the peace, support and synchronicities that come with doing so. Remember, inner guidance is subtle, so don’t strain to hear messages. Just trust that you have received the information at a deeper level by the simple yet profound act of connecting with your Spirit and any answers you need will arise as you are ready. In the meantime, enjoy the peace and stillness within. When you start connecting and listening to your Spirit’s wisdom, you will find that the actions you’re guided to take will feel joyful and effortless. 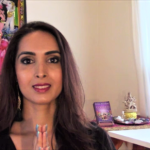 Once you do what you’re guided to, however, the next step in accordance with the Divine Feminine way is to surrender. This means trusting that you have done all you can and now the universe will bring you whatever is for your highest good. You can continue to go within and take divinely guided action, as long as your action is fueled by love and trust and not fear and worry. This is a hard lesson to learn as we are trained to be in control and in charge, but there is serenity in knowing that after we do our part, a higher and benevolent force is at work on our behalf. So, let’s say you’ve applied for a dream job, prayed, visualized yourself being happy and successful there, maybe even gotten a good word in through your network and followed up with the appropriate personnel. All you can do after all this is trust that the best outcome will unfold for you (whether or not you get this job) and go about your daily life being present, grateful and grounded, living fully in each moment. Have faith, know that you deserve the best and that everything that happens is as it should for your growth and evolution. “Every blade of grass has an angel that bends over it and whispers, ‘Grow, grow!’”. This beautiful Jewish proverb teaches us that just as every blade of grass, leaf on a tree, bird in the sky or tiny little bug has all its needs met as it fulfills its natural function, so too are you supported in your life’s path. Spend at least a few minutes each day lying on the grass or sitting under a tree, or bring in plants, flowers and crystals in your home to allow Mother Nature to inspire, heal, restore, ground and support you. Ask Her to transmute any energy that doesn’t serve you and she will do so gladly and powerfully. Our connection with Her is primal and primitive, and nurturing this connection is an essential part of honouring our Divine Feminine nature. While male power can be forceful or aggressive, feminine power is about being firm and assertive. The Goddess’ way is not to demand power, but to command it. You can do this by learning how to say no to requests on your time or energy that drain and deplete you or otherwise ask you to compromise your values. Set healthy boundaries in your personal and professional relationships and do things because you feel guided to and want to do them – not because you feel obligated or guilty. We as women are raised to be polite, nice and always accommodating to please others and avoid conflict. We can care so much about others’ feelings and opinions that we often pay a high price for it – from resentment and burn out to anxiety and depression. But our Divine Feminine nature calls on us to live more authentically and happily by standing in our power and speaking our truth gracefully, consistently and firmly. No anger, no apologies. 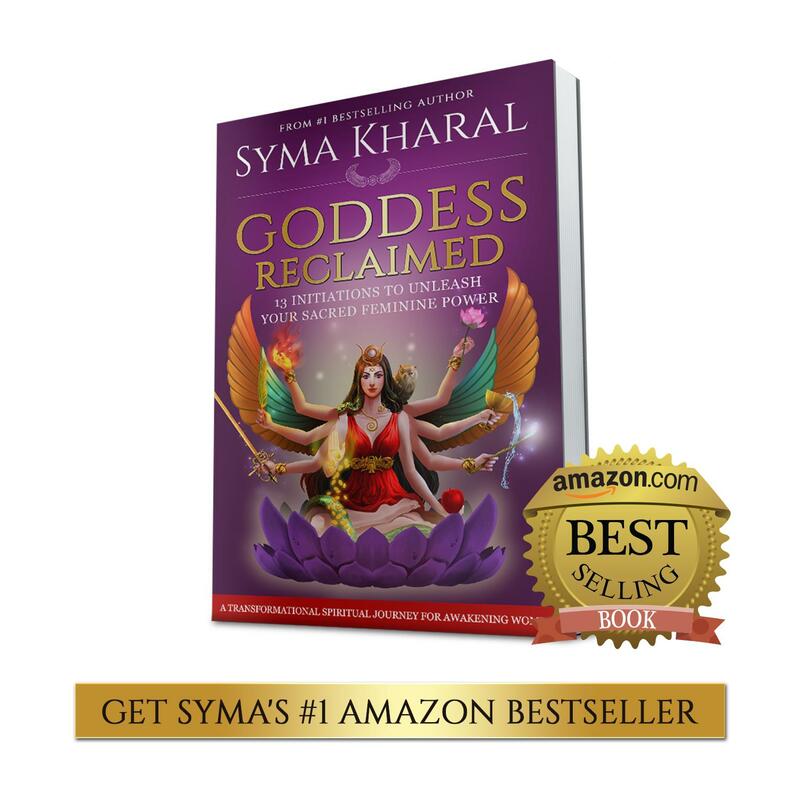 By recovering and reclaiming our Sacred Feminine nature, we begin to open ourselves to the magic and miracles that come with it. So start balancing the God and Goddess self within, and like the gift of conception, watch this perfect union create a beautiful and vibrant new life within and around you. 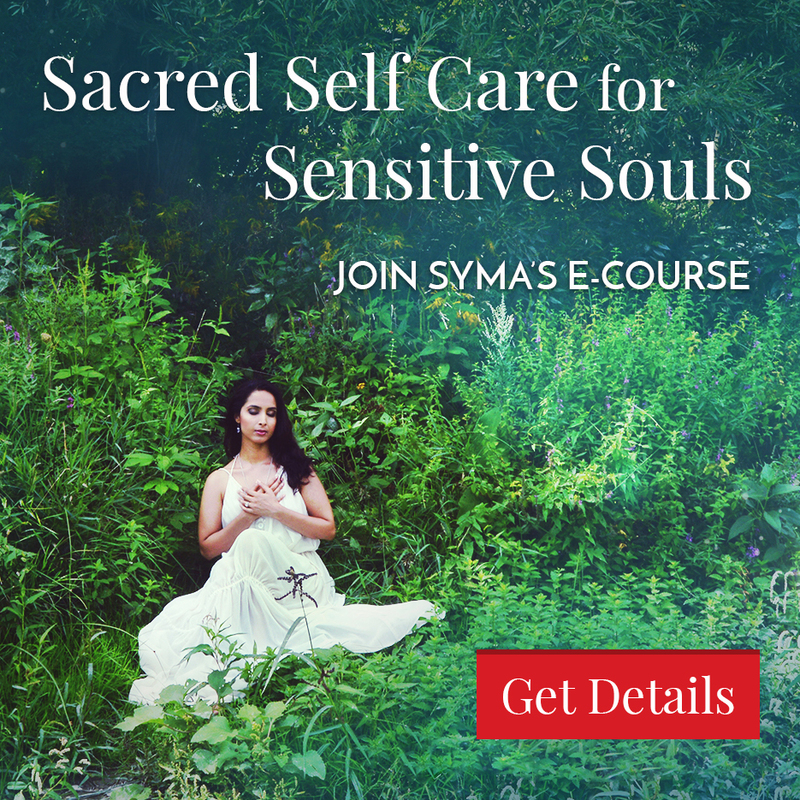 Syma is a Toronto based Healing Practitioner providing Reiki and energy healing, meditation instruction, life coaching, team wellness workshops and “Goddess” sessions. Visit her at www.FlourishingLotus.com to see how she can help you heal, grow and flourish. Originally posted on August 30, 2012 to Lioness Women’s club.